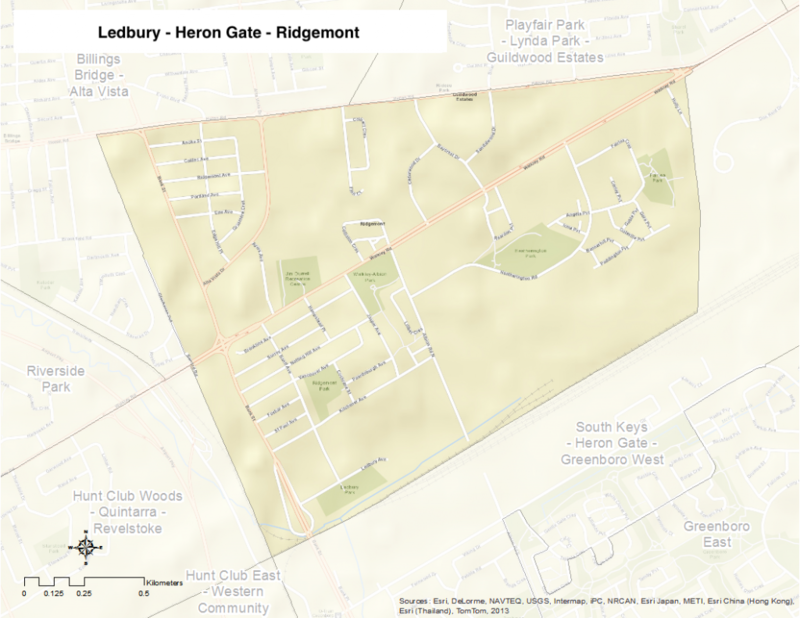 Ledbury – Heron Gate – Ridgemont is bounded by Heron Road on the north, Ottawa Carleton Railroad line on the south, and Don Reid Drive on the east. The western border includes the O-Train line, Traverse Drive and Kaladar Avenue. The neighbourhood includes the communities of Banff/Ledbury, Heron Gate, Ridgemont, Albion, Fairlea, and Heather Manor.